The British Red Cross has been drafted in to help the NHS, the charity said today as damning figures show overloaded A&Es have shut their doors 42 times in one week. The emergency response charity, which works with the NHS in periods of high demand and went into several hospitals in 2015, branded the situation a "humanitarian crisis" which it blamed partly on the black hole in social care funding. Red Cross staff and volunteers helped matrons at Plymouth's Derriford Hospital from January 1 until today, arranging transport for patients and settling them back into their homes. They are in talks with "a number of other hospitals" about similar activity, a spokesman said. The charity was also called in on New Year's Day to support the East Midlands Ambulance Service, including in Nottingham, Leicester and Northampton. Chief executive Mike Adamson said: "We have been called in to support the NHS and help get people home from hospital and free up much needed beds. 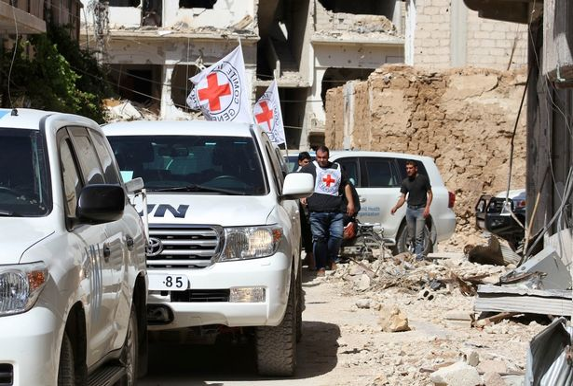 "This means deploying our team of emergency volunteers and even calling on our partner Land Rover to lend vehicles to transport patients and get the system moving. "We’ve seen people sent home without clothes, some suffer falls and are not found for days, while others are not washed because there is no carer there to help them. "We call on the UK government to allocate immediate funding to stabilise the current system and set out plans towards creating a sustainable funding settlement for the future." In a flood of grim NHS statistics today, it emerged two patients have died on the same A&E unit in the last week. One patient at Worcestershire Royal Hospital suffered a cardiac arrest on an A&E trolley, which proved fatal, after waiting 35 hours for a ward bed. It is understood the other was a patient on an emergency trolley on a corridor within A&E, who suffered an aneurysm and later died in a resuscitation bay. A&Es at Worcestershire Acute Hospitals NHS Trust were forced to shut their doors due to overcrowding nine times last week - the most of any in the country. 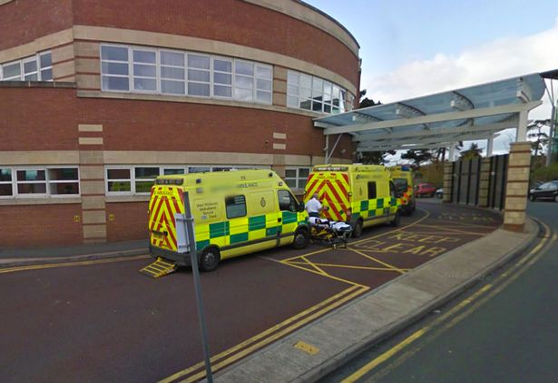 Northumbria Healthcare NHS Foundation Trust was forced to shut its A&E departments seven times. NHS figures reveal hospital trusts had to set up so-called 'A&E diverts' 42 times in the week to January 1. That was up from 19 the week before and 20 in the same period a year earlier. The move means sending people to other hospitals as a "last resort" and is only used when A&Es cannot cope with any more patients. Several hospitals have issued pleas on Twitter for people to stay away from A&E unless they have a genuine emergency. These include hospitals in Mid Essex, Ipswich, North Cumbria, Kingston, Bristol, Buckinghamshire and Cambridgeshire and Peterborough. Dr Taj Hassan, president of the Royal College of Emergency Medicine, said the system was "on its knees despite the huge efforts of staff". He added: "The scale of the crisis affecting emergency care systems has reached new heights, as we predicted, mainly due to a lack of investment in both social and acute health care beds, as well as emergency department staffing." Liberal Democrat leader Tim Farron said: "The government must be honest with people. The NHS needs more money." An NHS England spokesman said: "Over the Christmas and New Year period A&E visits and everyday hospital admissions peaked on the 27th and 28th December, and NHS 111 had its busiest week ever. "However, hospitals report their bed occupancy levels were slightly lower than the same period last year, despite a higher number of beds out of action as a result of higher levels of diarrhoea and vomiting and norovirus . "Plans remain in place to deal with additional demands during the winter period, and the public can still play their part using local pharmacy and NHS 111 for medical advice, alongside other services."